Gage Key throws the ball to first base to record an out for Hubbertville. 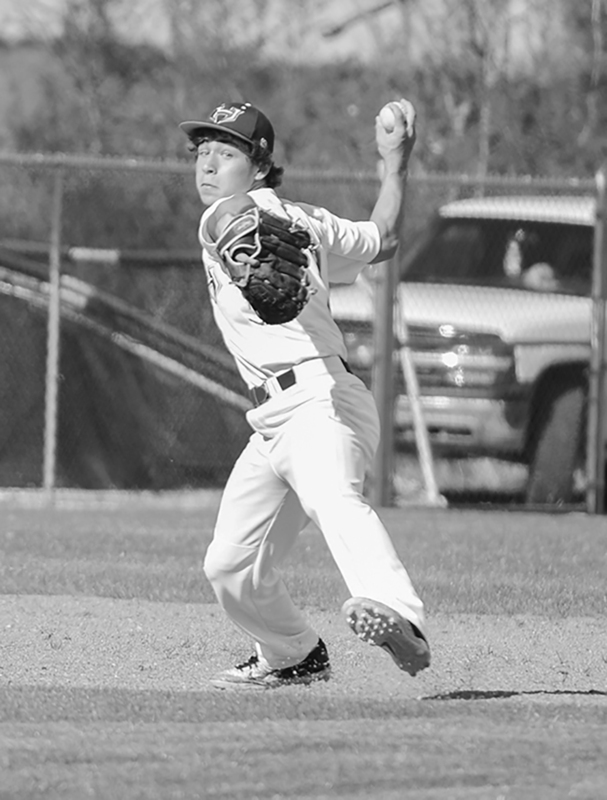 The Hubbertville Lions finished strong to take a 9-4 victory over Hackleburg in baseball. The Lions scored in the first inning when Gage Key doubled in a run. The big inning for the Lions was the sixth, when Hubbertville scored four runs. Gage Alexander, Key and Zach Hubbert each had RBIs during the inning.